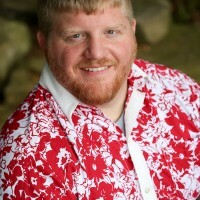 Cyle Young is an award-winning author and children’s pastor. A father of three, he is a veteran of 15 years of youth and children’s ministry. He also participated on a National Championship football team at the University of Michigan. He holds two master’s degrees from Liberty Theological Seminary. When not sharing the gospel or playing with his kids, Cyle spends his time avoiding snakes, hiding from aliens, and doing his best to never again pass gas on a horse. You can learn more about his zany adventures in his 30-day devotional, Belly Buttons and Broken Hearts. Visit his website at www.cyleyoung.com.